This entry was posted in Uncategorized on September 24, 2013 by edimminger. Yes, judge Stephens has postponed this coming Monday’s pretrial hearing until October 4. Will this ever end? This entry was posted in Uncategorized and tagged jodi arias, murder., postponed., Travis Alexander, trial on September 13, 2013 by edimminger. The remains discovered in Stephen King’s garage last week have been determined to be those of baby Elaina Steinfurth. King’s mother indicated that her son revealed the whereabouts of the remains to the police. The garage where they were discovered had been searched before without result, so there are questions as to how the remains got there. I expect both the mother, Angela Steinfurth and her boyfriend to be charged in this case. They are currently in jail on obstruction charges. This entry was posted in Uncategorized on September 10, 2013 by edimminger. 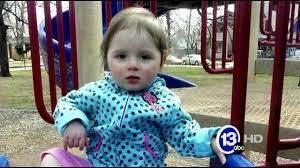 Yesterday the police received a tip regarding the whereabouts of Baby Elaina Steinfurth. Remains have been found in a computer box that was in Angela Steinfurth’s boyfriend’s (Stephen King) garage. The baby went missing on June 1st. The coroner will determine whether this is in fact baby Elaina. Both Steinfurth and King are currently incarcerated. This entry was posted in Uncategorized and tagged Angela, Baby, Elaina, found remains., King., Missing, Steinfurth, Stephen on September 6, 2013 by edimminger. 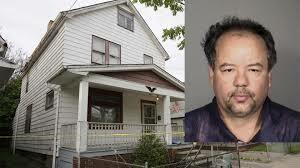 Ariel Castro was found in his cell, dead from hanging tonight. At first I was happy to hear it and then I thought about one of the girls’ statements about him just beginning his punishment. Since he had kidnapped and held three girls for 10 years I would have preferred that he spend at least 30 years in his tiny cell (10 for each girl) before hanging himself. Sorry if this sounds harsh. This entry was posted in Uncategorized and tagged aroiel, Castro, dead, hanging on September 4, 2013 by edimminger.